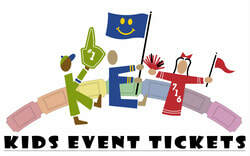 Buffalo Bandits 20 Tickets Peoples Inc.
Four Seasons Cinema 23 Tickets Niagara Falls Boys and Girls Club, Peoples Inc.
Buffalo Sabres 50 Tickets Renaissance House - Buffalo, Peoples Inc.
Buffalo Blades 100 Tickets Kids Escaping Drugs, Peoples Inc.
Hockey Game House. Donated by Canisius College Athletic Dept. Renaissance House - Stepping St. Team Summit BBall Org. Mass. ​Boys and Girls Club - Mercer Co.